It was really exciting. The pitch was astroturf, and we’d only ever played on dirt before. I got my first ever team shirt and everything was really impressive, but what I’ll never forget about that tournament is my granddad. He was really into it because he was an Atleti fan, I remember he said to me: “as soon as the game finishes call me”. I scored a few goals that day and as soon as I got home the first thing I did was call my granddad. After winning Nike Cup Spain we qualified for the European tournament. As son as we arrived we were take to a hall with all the players. The top European teams were all there, AC Milan, Juventus, Man. Utd....... One of the things that most caught my eye was the Nike video, we were amazed when Juninho appeared and wished us luck. As far as the tournament itself, it was hard-fought.. We were winning games and getting through rounds, we knocked out Real Madrid 2-0 in the semis and got to the final against Reginna, which we won with a goal from Molinero. That was the first big medal I won. After the tournament my name started to come out in the press, I’ve still got some copies at home, and offers started to come in, for example one from Arsenal. So I started to get to know top-level football, and even though the moment passed quickly it was good, something to enjoy. (June 17, 2001) When the ref blows the final whistle and you’ve won but the stadium is totally silent, you realise that all your work has been for nothing, everything’s been going really well but in the end it’s all gone wrong, and that’s what matters. The club has to face another season in the second division, and my debut, my goal.... everything would have felt different if the team had gone up. Another year in the second division, everyone disappointed, it was like starting again from nothing. In the dressing room there were all kinds of reactions, some people angry, some people really pissed off, some people not bothered and some really devastated. Those who’d been at the club the longest felt it the most, they’d given their all during the season only to end up with nothing. I was still more of a fan than a player and what I felt was disappointment, I didn’t feel like doing anything, I was sunk, I just wanted to get over it and forget about it as soon as possible. (June 3, 2001) There had been some debate during the week as to whether or not I´d be in the starting line-up. In the end I came on with 15 minutes left, nil-nil on the scoreboard. Once again we needed to win to stay in the promotion chase. My moment came when I saw a high ball coming down from the sky, I positioned myself to shoot and it was my first goal for the first team, unforgettable. Half of the crowd were Atleti fans, everyone went mad, my team-mates, everyone…At the end of the match the fans invaded the pitch to celebrate the victory, it was amazing. (May 27, 2001) After the European under-16s I played in the Champions Cup and the Spanish Cup with the youth team. After the cup game I ran into Iñaki Sáez and he told me I was going to play for the under-18s, and the week after that Futre called me to train with the first team. I was going to play in the pre-season games so it was a good idea for me to get acclimatized. I started training on the Wednesday, on Saturday I was on the team-sheet and on the Sunday I made my debut. It was all really quick. It was an early kick-off, the ground was full, and it was really hot. We were winning 1-0, and we needed to win so as not to lose our chance to go up. Everyone was really tense except me, I was just dying to play. At the end of the game I had a really strange feeling, that even though I was still so young I’d achieved what I’d always dreamed about. I couldn’t believe it. When I was a kid I thought that once I got to this point everything would be easy but I was wrong, it was only the first step. (April, 2001) That year I had a bad injury, I missed the preliminaries, only started the season in December and the tournament was in May but I really wanted to play. In the end when I got into the squad I was really pleased. It was similar to the Nike Cup but with the national team. You get there and they explain the draw, they show you the set up, a really nice hotel in a different town, you get the national strip with the sponsor’s name, you know you’re going to be on TV and in the Spanish papers every day, when you’re 15 or 16 you really can’t believe it. It was a tough tournament, we got past Italy on penalties, we beat Croatia and in the final we beat France, the favourites. We knew that if we lost everyone would forget about us but that if we won, everyone would hear about Spain and that’s how it was. The tournament had been closely followed in the press, and we were on the front page after we won…there are some things you’ll never forget. After the championship I got into the senior squad. (July, 2002) I missed out on my holidays because of the tournament, but I really wanted to play. It was more or less the same team as in the under-16s, and we were pretty confident. We started with a draw but after that we won all our games and were European Champions again. I was top scorer again and also voted best player for the second time. These personal awards really make you feel proud. I remember, in the hotel, after each game, looking at the boards with the points given for each player and the goals scored.. During the tournament I saw that I was there or thereabouts, that I was in with a chance of coming top, that I was playing well and getting a lot of points and at the end of the Championship, still on the pitch I heard over the loudspeaker that I’d been named Player of the Tournament as well as being top scorer, I was so happy. From then on my reputation grew and clubs were interested in me again, but at the very top level this time. (April 28, 2002) I’d had a very bad year, after all the expectation everybody had about me I only managed to score six goals, but I wouldn’t swap a good personal season for the team not going up. When we won promotion it was a bit strange, not at home in Vicente Calderon like we’d hoped, with a full ground. It could have been that way but we slipped up against Nastic, we should have won but they equalised in the last minute. We had to wait until the following day, I was at home and the lads started to call saying we’d been promoted so we went out to celebrate. It was a shame not to have done it against Nastic because the fans were really up for it, ready to invade the pitch and everything, to celebrate. I would have preferred to have waited a week or two more so as to have enjoyed it with the fans in Vicente Calderon. (September 6, 2003) It had been talked about before that I’d get in the squad, but despite the rumours I didn’t think it was possible, though this time it felt different. I was so nervous that week, I couldn’t wait to see if I was in the squad. After the get together with Iñaki (Saez, then under-19 coach) I was on tenterhooks, dying to know if I’d get in the full squad after having played at all other levels, I was dying to know what the atmosphere was like, the other players, the set-up…everything, really. I expected it to be more or less like the junior squads but here everybody knew each other, it was like a club, like a family, and that’s great for as team but not so great for a player coming into it, it’s more difficult to adapt. The veterans, like Raul and Cañizares, helped me get used to things a lot. I was really up for the game but the Portuguese players were kicking me from the start and I had to come off with a sprain before half-time. Anyway, I came off happy because I’d made my debut and that’s what will stay with me forever. (June, 2004) The European Championship was on my mind all year, to finish the year well so as to be able to be in Portugal, finish well in the league and get in the squad...., a good season as much for the team as for myself, added to the fact that Iñaki Saez (by now National Coach) already knew me from the junior teams, meant that I was lucky enough to be picked. Once there I wanted to enjoy it, I wasn’t bothered if I didn’t get a game, I wanted to play because I was sure that I was up to it, but even being on the bench didn’t get me down, the opposite because it was an incredible experience, it was like with the under-16s or the under-19s but even better, because there’s no higher level, to be in a Finals with the National team is the highest level you can aim for. At the age of 20 I was at the top of the international game. It was something to enjoy, we drew against Greece but didn’t think it would matter, there was a great atmosphere, we were enjoying watching the games with the best players in Europe. It never occurred to me that we wouldn’t qualify for the quarters, we were so confident we’d beat Portugal that when we were knocked out we were devastated. At that point the Portuguese fans and players were going mental but for me everything was silent, the silence of the Spanish fans, the silence of my team-mates, everyone heads down, we couldn’t believe it, it took me a few days to really take it in that we were out. (April 28, 2004) I was really up for the game, and besides I was convinced I was going to score. I remember they let me wear 14, which had always been my number for the national teams. And I scored, but I came off annoyed with myself because even though I’d scored my first goal I felt like I could have scored more. (November, 2005) Helping Spain to get to the World Cup in Germany was more than just a wish for me. It was an obligation, as well as a dream come true for me personally. Being the top Spanish scorer of the Liga made Luis Aragones trust in me to play the classifying rounds with the first team. It’s not easy to describe, but every time that I heard the National Anthem, arms linked with those of my team-mates, I felt that we had behind us the support and strength of the supporters whom we couldn’t disappoint. There was just one aim: to be in Germany. Things didn’t go well in the classification group. Draws meant that we reached the last games without having guaranteed classification. The Serb team maintained a high competitive level throughout the clasification round. They came to play at the Vicente Calderon: to run out on to the pitch in front of my home supporters, wearing the Spain strip, was one of the most exciting moments of my sporting career. We didn’t get past the draw, and travelled to Belgium with everything up in the air. In Brussels, I scored two goals at just the right time, thanks to two excellent centres by Jose Antonio Reyes… just like in the ‘old times’ in the lower leagues. I realized that something had changed: a new phase had started for me in the national team. One cycle had ended, and a new one, full of hope, had begun. In the playoffs we beat Slovakia without any problems, and we had finally made it to the World Cup! Despite being the top scorer of the team at the end of the phase, I knew I had to keep improving, only by working hard could I go to Germany and make my dream come true: to play for the World Cup. 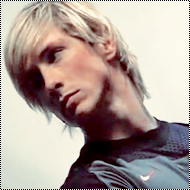 (June, 2006) I am fighting all my live for a dream, to play with the biggest of the World, and finally I had it within reach: I was going to play in the World Cup in Germany! When I got there, all around me smelt football, but what really surprised me was seeing so many red shirts that were cheering up us out of Spain. Not even in the Eurocup of Portugal I saw so much support of our fans. All pointed that could be the Spanish World Cup . In the National Team we had players of a high quality, but overall we form a solid and young team. Luis Aragones confidenced on me to the eleven starter and I felt the obligation to give the maximun output. We had high aims. At the first phase, things were going well. We achieved to win all the matches with a good play and goals. Many people pointed out us like favourites, and at the personal view everything went perfect: I scored three goals and I was situated as top scorer of the championship at the end of the second match! At eighth finals we played against an importance rival, France, a team with players that already knew what is winning a World Cup, with a high quality and, overall, with a lot of experience. We left like favourites and I think that condition damaged us . France has realized a light first phase ended as second of the group and left without the pressure of winning. The match started very good. We were forward at the boardscored, but we didn’t know how to control the match. Ribery’s goal made the shock. He scored it three minutes before the break and the development of the second half changed. The second half it wasn’t so good. We weren’t apted. Anyway, it was a disappointment because all our illusion broke out. Personally it has been a good World Cup. It served me to ckeck my level in a great date, although collectively we left with a bad taste in our mouth, knowing that we let out a good opportunity to go far in Germany. (July, 2007) “I hope that this is ‘au revoir’ and not goodbye”. These were my final words as I prepared to leave Atletico Madrid after twelve years. The club has always been and will always be a big part of me, though the time had come to face a new challenge, and there could not be a better stage to ply my trade than Liverpool Football Club. There was no doubt that this was to be the most important decision of my football career to date. Atletico Madrid had not had a great season, as once again we failed to qualify for the Champions League or the UEFA Cup. The team had been in the top six throughout the year but we missed out on achieving our objective on the final day of the league. The season had just come to an end when Liverpool came forward with an offer. Unlike previous interest shown in me from clubs during the close-season, this was different. Liverpool F.C. is one of the greatest clubs in the world with a glorious past, exciting present and bright future. Following a phone call from Rafa Benitez I knew for certain that Liverpool wanted me to form part of an exciting new project. The Anfield club could have chosen any striker in the world, and I was proud and privileged to have been selected for the role. I asked Atletico Madrid to study the offer from Liverpool and the deal was closed sooner than I could have ever imagined. I was actually on holiday at the time but in a blink of an eye I had just become a Liverpool player. I had been a member of the first team squad at Atletico for seven years, seven years during which the team never quite achieved the objectives set out at the start of the season. It was then that I realised that the time had finally come to take that step. It was never going to be an easy decision but I knew that it was one that I had to make; it was time to move on. I had always gone hand in hand with Atletico Madrid but it was time to part ways. Rafa Benitez had spoken to me about the project at Liverpool, and both Atletico and I understood that this was an opportunity I could not pass up. Before being officially unveiled at my new club, I felt that I needed to personally thank all the people who had formed part of my life during my time at Atletico Madrid. I grew up and matured alongside the Club, and it meant a lot to me to thank all people who work at Atletico. I also felt that I owed it to the fans and to members of the press to say ‘au revoir’. My twelve years at the club had flown by and they had always made me feel special. I will never forget the backing and support I received throughout my time at the club and it was going to be strange to finally leave a place I considered my home. Thank you. Only hours after my emotional visit to my first and only club, I landed at Liverpool. The first time that the reality of what was happening to me hit home, was when I first walked into Anfield. I realised that the time had finally come to close the chapter on Atletico Madrid and to start a new adventure at Liverpool. It was a proud moment for me when I pulled on the world famous red shirt with the number 9 stamped on the back. I was sure to take in everything from that special day; the welcome I received from the fans and employees at the club and I thought to myself that here, ‘I will never walk alone’. I fully understand the challenge that lies before me and that I am going to have to work hard and give 100% to repay the faith and belief the Liverpool fans and supporters from the famous Kop End have in me. It has been a marvellous twelve years for me and I am proud to have worn the red and white shirt and will always carry Atletico Madrid in my heart. We are the European Champions!!!!!! (June 2008) In the run-up to the game versus Germany I was asked what would I give to score in the final. My reply was simple, anything. I could never have imagined that, that very sane night, my strike would help Spain to the title. It would have been impossible to have envisaged so much joy and celebration. Everyone in Spain, and all of you, deserved the victory. Following the success and celebrations at youth level, our football needed to lift a championship trophy, and the moment arrived at Vienna. I believe that the victory was deserved. The best team does not always win, but this time they did. It was a team effort and a victory which belongs to a united country. The achievement is not just down to this side, but to everyone in Spain, and also for football. We won because we did not just sit back and wait. We set our sights on winning the tournament from the very first minute against Russia in our opening group game. I would like to dedicate the victory to Doctor Genaro Borras because he also played a role in the title victory. Unfortunately he is no longer with us, and could not share the joy and happiness we all felt, though he is still in our hearts. A special mention should also go to David Villa who had an excellent Euro 2008, but had to miss the final through injury. Unfortunately, these things happen in sport. It is not easy trying to explain how we won. There are a lot of reasons, but the team-work and unity were key. Everyone has played their part, regardless of the minutes they enjoyed out on pitch. Those members of the national team set-up who did not play, also collaborated and contributed to our Euro triumph. The players have all matured since our appearance at the World Cup in Germany. We arrived for the European Championships with more experience and matches under our belt. What we lacked against France two years ago, we displayed against Italy in the quarterfinals. The victory over Italy in the penalty shoot-out was an important morale-boast for everyone before the semis, and the final in Vienna. Luis Aragones could see how the win affected us, and he transmitted to everyone his winning character so as to help us through any difficult moments. Just hours before kick-off, we were not fully conscious of the importance of the game going into Sunday's clash. We were far away from home, somewhat isolated, and we did not know how people were following the tournament back home. We saw some images which caught our attention. The footage showed how the whole county was behind their team. My friends also called to tell me what was going on back in Spain. This past season has been perfect. A dream year. The only 'but' was the Champions League defeat with Liverpool. But the bad taste that the semifinal loss left behind, was washed away with the European Championship triumph. I have felt what every footballer wants to experience, to be a part of important games. It is something that I have always wished for, and I have been luckily enough to win that important game, and to lift the European Championship Cup with Spain. I made my Premier League debut for Liverpool at Villa Park in August 2007. At that time I could never have imagined the sensations that were in store for me. My first match ended in a 2-1 victory. A magnificent goal from Gerrard in the 87th minute secured the win. Despite not getting on the scoresheet, the win tasted just a sweet. Two and a half years later I hit my 50th Premier League goal at the same stadium which saw my Premier League debut. I celebrated the goal with plenty of passion. It was an important strike, a goal that won us a key game that wasn’t going our way. Once again it was a late goal, this time in the 92nd minute, which earned us another three points. The goal, apart from clinching a victory, and serving to help me reach an important milestone, converted me the fastest player to reach 50 league goals in the history of Liverpool FC… an achievement which required just 72 games. It was an unbelievable feeling when I stepped out onto the Anfield pitch for the first time. I was overawed by history of the club and the long list of classic matches that had been played at the stadium, in front of the stands that were before me and on a pitch I was standing on. I realised that I needed to give 100% if I wanted to try and achieve something great at this club, if I wanted to try and carve my name out in the history of Liverpool FC… a history which was explained to me in great detail when I joined the club. Regardless of my hopes and dreams, I could never have imagined that two and a half years on my name would be linked to records which have stood for decades. Everything happened so quickly. The more I enjoyed English football, its high-pace and never say die spirit, the better things went for me. The more goals I scored, the more I achieved. I became the highest scoring foreign player in a debut season in the Premier league with 24 goals. Liverpool’s highest scorer in a season this century with 33 goals- 24 Premier League, 6 Champions League, 3 Carling Cup- the debutant with the best goal per game in the history of the club (1 goal every 1.36 games), and the first Liverpool player to have scored in eight consecutive league games at Anfield… Upon joining the club, everything fitted into place perfectly, and these small achievements helped me settle at a club whose fans can only be conquered with hard work and determination. The World Cup. Looking back, I remember when I was younger and dreamt of the World Cup. I would always picture the trophy in the hands of great players like: Pele, Maradona, Zidane… but never in the hands of a Spanish footballer. No surprise really. The World Cup was the one trophy we were missing. Now it’s amazing to think that young children will picture us- the footballers who represented Spain in South Africa- raising aloft the coveted trophy. After so much time the national team finally belongs to all of Spain, and the team can count on the support of fans and clubs from across the country. Winning in South Africa means an awful lot more than just a star on our football shirt. The success was the next step for an amazing group of footballers after they had conquered the 2008 European Championships. We put Spain right up there alongside the best countries in the world. So many players before us had tried to win the World Cup, but for one reason or another they had failed. So it’s a source of great pride that we managed to do them proud. We gave everything we had to bring the World Cup to Spain. The triumph was for all of the players who have defending the Spain shirt, and the success in South Africa was also for all of our fans. This is the part of the story which means the most to me. It turned out to be a happy ending after what was a very difficult journey. I had an injury-hit season and from October onwards I failed to play regularly for either club or country. It was one injury after another. I suffered the worst of the injuries in April. After scoring twice against Benfica in the Europa League I suffered a knee injury. It happened towards the start of the game. I just jumped up for ball and it went. What seemed at one stage a meaningless injury, could have left me out of the World Cup squad. The knee had gone, but the injury was different from the knee injury I suffered earlier in January. I went on to play almost the full 90 minutes against Benfica. I couldn’t train properly for a few days after the game so I decided to go to Barcelona to be seen by Dr.Cugat. I had the operation just after Christmas. The pain however didn’t go away and a check-up back on Merseyside revealed that I had suffered another injury. The bad news came at the same time that a volcanic ash cloud had gripped Europe with no flights out of England. There was no time to waste, so I jumped in a car and drove all the way down from Liverpool to Barcelona. I didn’t have time to wait for the airspace across Europe to reopen. I lost count of how many hours I spent in the swimming pool or in the gym as I worked hard to recover from the operation. The effort however was always going to be worth the prize. The help I received from the medical services and physiotherapists, plus the support I received from the coaching staff of the national team, helped me recover just in time. But my fitness was touch and go. I was based in the Galician towns of Santiago and Vigo, and both Eduardo Parra and Iván Ortega were with me around the clock. It was intense and non-stop but it was the only way to reach South Africa. The lack of match fitness however took its toll on my game during the opening clashes and for the remainder of the tournament. I was almost at one hundred percent, but it was plain to see that following the operation I wasn’t at my best. The result of our first match at the World Cup left us with an up-hill task. But the loss also served as a reminder that we could not afford to drop our guard again. The shock defeat to Switzerland was a tough pill to swallow. A top two finish was now a tall order. We had no alternative but to approach all of our remaining group games as if they were a final. We then beat Honduras easily, before also beating Chile, in what was a tougher contest. In the knock-out stages we started well against Portugal, eventually winning 1-0. A resilient Paraguay pushed us all the way in the last eight. Germany were our rivals in the semis. They had seen off favourites England and Argentina. We dominated the match, just like when the two teams met in the European Championship final in 2008. It looked like the goal would never arrive, but Puyol- with the support of the whole of Spain- rose the highest in the box to power a header into the back of the net. The World Cup final. Where to start? We were there in Johannesburg, the atmosphere was electric and Spain had an appointment with history. There was still one more test, and it was to be the toughest of the lot. Holland wanted the World Cup trophy just as bad as we did. It was one of the most contested games that I can remember. At times it wasn’t pretty, and although we were the better side, it could have all gone pear shape in a blink of an eye. The match went into extra-time and the manager brought me on. I was confident that I could make a difference, I believed that I would score, just like I did against Germany two years earlier in Vienna. I had a great track record in finals, so why not again? There were just five minutes remaining. Holland were looking to hold out until the penalty shoot-out, unlike us. We knew that we could undeservedly lose if the game went to penalties. We pushed forward trying to make our superior quality count. And our efforts were rewarded. Navas ran from right to left linking-up with Iniesta and Cesc. I collected the ball out on the left. I spotted Andres making a run into the box and I tried to pick him out with a long ball. The centre-back got a touch but the ball fell kindly to Cesc who slid it into the path of Iniesta, who made no mistake. His right-foot shot flew across the keeper and into the net. Iniesta made sure that his name would go down in history and that I would be remembered forever. I was close-by and I was the first player to jump on Iniesta’s back to celebrate. I’ve known Iniesta since we played together for Spain’s youth teams. We always got on really well. I remember when we got knocked-out of the Under 17s World Cup in Trinidad and Tobago. I handed Andres my shirt on which I had written ‘see you again at another World Cup’. He replied: ‘our time will come’. And in South Africa, eight years on, the day we had all dreamt about, finally arrived. He was the hero. He deserved it, as did all of the Spain squad and everyone back home. We deserved to win the trophy that Casillas lifted in South Africa. The World Cup belongs to us and the triumph is ours to celebrate. We are the World Cup champions! It fills me with joy to return to were your roots are, to the place where you were born and where you have lived very happy moments. Fuenlabrada is for me that special place where every corner brings me memories of a friendship, a gang, a match in the neighborhood… There, together with my family and friends, I started to build up my life. I would not be as I am if I would have been born in another place. That is why it was very special to return there to receive the Golden Medal. To feel again the affection of the people who saw you growing up, affection I always feel when I have the opportunity of returning was for me one more reason to reinforce my pride as a ‘Fuenlabreño’. The Town Hall in a plenary session awarded me with the first Golden Medal of Fuenlabrada after the success we had at the Austria 08 European Cup. That one was a tough championship, we worked hard from the beginning, we fought until the end to get a title wanted a long time ago. We fought to win until our last breath, even at the final match’s goal move. Lahm thought I would not be able to catch up with him and get the ball. He was wrong. That is the way we are in Fuenlabrada, people who fight and who try to overcome the obstacles. That is what I learnt there and that is why I think that the Golden Medal has a little bit of all of them. Besides of receiving the award, I had the pleasure to visit a sports centre that will have my name. I was filled with satisfaction when I saw that the progress has brought more and better facilities to play football and practice all kind of sports, facilities that will help to that in a future Fuenlabrada would contribute with more figures to the Spanish high level sport. I still remember when my parents and siblings woke up early or went out quickly from school or work to take me to the trainings. It is not easy to get to be a football player, but without the help of the people you love, of the people of your town, it’s impossible. I will be always thankful to all of them, to all what I learnt of them and that is why I will always be proud of where I come from. Now and forever, from Fuenlabrada. Ambition. Is the main word to resume the reasons that made me sign with Chelsea. The ambition to grow, to progress and to win titles. In the last minutes of January 2011, just before the deadline of the winter transfer window, I signed my engagement with the ‘blues’ until the 30th of June 2016. At Stamford Bridge they trusted a lot in my possibilities through an incredible economical bet, necessary to open Anfield’s armored doors. The never ending negotiation ended with the most expensive transfer of the English football history and also of a Spanish player, which is an unmistakable sign of the ambition that leads a champion club. A team that always aims for more, that aims for improving and which is ready to make a strong bet to get its objectives. Throughout all my life I have pursued to win, to get titles. With the National Team I have had the luck to raise two cups, wining a Euro Cup and at World Cup in a wonderful two-year period. Chelsea offered me the possibility to fight for titles at a Club level, to obtain a reward for your daily work which keeps you far from home. If it is not this year, it will be another one. Chelsea will fight every season for titles against Manchester United, Arsenal or another club. My best years in Premier were yet to come and I did not know if the train was going to pass through again, so I caught it to pursue my dream: to win. Following my path meant to close a three years trajectory in Liverpool. I left my house, Atlético de Madrid, to compete at a maximum level in Anfield and I think I met the expectations. There I was very happy and I will always be thankful to the Club. Why did I leave? Things changed a lot the last year. Liverpool is a big club with a big history but it is going through a period of transition which it needed time for. I thought I did not have such time; I needed to have closer and truer objectives, something more than promises of future projects. Just what Chelsea was offering me. An already finished stage in every sense, without any objective or challenge, turned suddenly in another one fascinating and full of possibilities to succeed. I arrived to Chelsea being a complete different player to the one who left Atlético. A player more experienced in wining big rivals and scoring important goals. A more complete player, with much clearer objectives. I signed full convinced that my best years as a professional will come in Chelsea, with the perfect age to face them with guarantees and in a club that offers me much more real opportunities to get what I have always dreamed of. First double: FA Cup and... the Champions League! Torres besa la Copa de Europa sobre el césped del Allianz ArenaThe UEFA Champions League has always been my favourite trophy. When my professional career started we couldn´t rely on the National Team to achieve the successes that were finally reached. Spain, therefore, excelled at youth level and it was a dream to win any senior tournament. So I was able to look more closely at winning the Champions League or any other club tournament. Finally in my second season with Chelsea, I won the famous cup that I had wanted so much. The feeling was indescribable, even more so after winning against Bayern Munich at their ground and overcoming a round of penalties. Maybe everything didn´t happen according to the script that I would had written, but, in one way or another, to be Champions of Europe was the greatest feeling. Weeks before we had conquered another title: the FA Cup, winning against Liverpool in the final at Wembley. It was my first title with a club, something that I needed and that finally I achieved through only a year and a half at Chelsea. After the great joys with the selection with the European Championship and the World Cup, as well as the titles at youth level, to get club silverware was my main ambition, and with the blues I filled my expectations with a sensational double. After a difficult start to the season, without getting results and changing the coach at mid-season, nobody was betting for us. We knew that by working as a team we could accomplish the objectives and, by the end, we gained two titles.. But the Champions League was something more than an ambition. I had been close to it, but never reached it. In my first season with Liverpool FC, it was Chelsea who beat us to the final through extra time that resulted in a thrilling semi-final. After, I arrived on two other occasions at the quarter finals: one with the reds, also eliminated by Chelsea, and the other during the 2010/11 season with the blues. Unfortunately, Manchester United knocked us out. So, I have always said that the Champions League was the greatest target to work towards, a target that was just made real on the 19th May 2012 in the Allianz Arena in Munich. The road to the final wasn´t easy. Firstly in the group phase, we didn´t qualify until the last day, thanks to a decisive victory at Stamford Bridge against Valencia. After, in the second round in Naples we were pushed to the limit with a 3-1 in the San Paolo stadium. Luckily we sort out the tie at Stamford Bridge and in the quarter final round we didn’t have as much trouble facing the Portuguese Benfica. In the semis the great Barca was waiting for us. I knew the team very well through the friends and teammates of the Spain National Team who had won everything with Guardiola. Also, during my time at Atletico I did very well against them. In the first leg with a great effort we won 1-0. We knew what we needed to do to overcome Barca in Camp Nou and it worked. We drew 2-2 with a man down and I had the opportunity to score the second goal: we were in the final! The challenge was immense. Bayern Munich was waiting for us in a final that was played in its own stadium, although only the quality of its players was enough in order to complicate the road to the title. The most dangerous of its game was the counterattack. That was the threat and something which we were very aware of. The key was to know how to read the game well and to choose the best moment to attack. Even then I saw the final as fifty per cent, as our desires and those of our supporters for the title balanced the scales. The atmosphere of the stadium was tremendous. The chants of fans echoed from all sides and even more so when the match began. The game grew up as we had planned. Bayern took the lead and we did our best for not conceded. When they pressed further, we were more united against the difficulties. We played intelligently and with our heads, doing what was necessary to take it forward. We faced a great team and we knew that. Our only chance was to take advantage from our assets and we read the game well. The most difficult moment was when Müller scored in the 83rd minute. By then our forces were in short supply and the extra time at 0-0 seemed like the best solution, but they managed to score and we felt trapped. But still our dream was strong enough for us to level the score with a corner from Mata leading to Drogba´s header. Afterwards came the extra time and penalties. Cech was our saviour, stopping shots from Olic and Schweinsteiger, whilst Drogba scored the winning penalty proclaiming us Champions of Europe. Every match, of course every final, is different. They can´t be compared. I have now lived through five finals and, although luckily in all of them my team won, they were all different. But that of Munich is the one where I suffered most: to see it from the sidelines, to enter the pitch with everything lost, to live the outcome in the way that it was… When Drogba scored the final penalty I felt an inexplicable emotion. My childhood dream became a reality and I will never forget it.